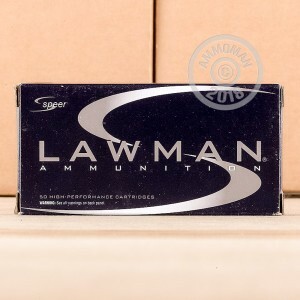 This is first class ammo for a very reasonable price. 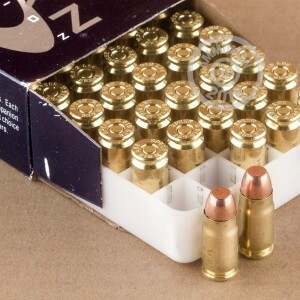 However, reloaders take note that the 357 Sig Speer brass uses a very small flash hole, smaller than the usual 0.080" diameter decapping pins. I bought a set of Dillon carbide dies that came with two size pins. The smaller pin is about 0.070" diameter and is still larger than the flash hole. But after reading up in this on several forums, the remedy is to just push on through with the decap pin. I did decap several with the 0.080" standard pin in a RCBS decapping die, and also then ran several hundred through the Dillon resizing/decapping die with no issues. You only have to worry about this once, and it was not an insurmountable problem. 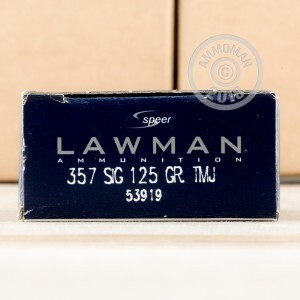 I would buy more of these Lawman 357 Sig rounds at this great price.